In Wisconsin, haunted places filled with paranormal activity include some very malevolent entities terrorizing home and business owners. Phantom men and women wander Wisconsin highways, cemeteries and private homes. 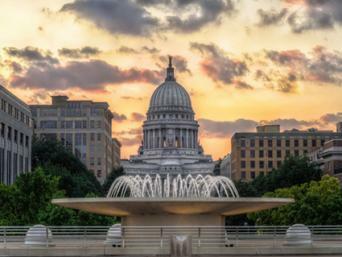 No place seems safe from sinister ghosts when they wish to make their presence known at these haunted areas in Wisconsin. The Journal Sentinel lists Summerwind Mansion (also known as Lamont Mansion) as Wisconsin's most haunted place. The mansion was originally a fishing lodge, built in the early 1900s. At one time, it was owned by US Secretary of Commerce Robert Patterson Lamont who served during the Herbert Hoover administration. According to an episode of Discovery Channel's A Haunting, the Lamonts dismissed the ghost stories their servants told until they began to experience strange phenomena. The couple was having dessert in the kitchen when the basement door flew open and a dark apparition emerged. Lamont grabbed a pistol from a kitchen drawer and shot twice at the entity that quickly slammed the door behind it. Shadow people were seen moving about. Disembodied whispers frightened the family. Cold spots were commonly felt by the family. A window in one of the bedrooms kept opening. Doors, when measured a second time, had changed dimensions. The husband, Arnold, suffered a nervous breakdown and his wife Ginger is often reported as having attempted suicide. One of her daughters asks what would drive a child to consider suicide, implying she'd contemplated it as a way out of her situation. Orbs seen around the ruins. Floating mists moving about the property. The Summerwind Restoration Society has captured several Electronic Voice Phenomena (EVP). The mansion no longer stands, but it was located on West Bay Lake. The location is closed to the public, though occasional tours, camp outs and other events are available at the ruins through the Summerwind Restoration Society. The Brumder Mansion is now operated as a B&B but according to Haunted Houses, it has a haunted past and present. The four-storied 8,000 square foot mansion has a long history starting with the original owner George Brumder Sr., known as a business leader of a German language publishing company. The mansion was sold to brothers Sam and Ed Pick, who worked secretly for Al Capone. The mansion become a speakeasy that was favored by aristocrats and gangsters alike. Folks were shot and killed on the premises during this era and their ghosts, along with gangsters and servants, seem to still be hanging around. Disembodied footsteps and voices are often heard by guests. Objects have been seen moving on their own. Lights often turn on and off on by themselves. Breezes are felt and draperies flutter about. Objects often disappear, but days later are discovered in their original places. In 2008, guests of Gold Suite were locked out of their room. It seems that the deadbolt mysteriously locked from inside. One staff member witnessed a vacuum cleaner cord being unplugged from a wall by something invisible. Three-year-old Timmy is identified as a regular visitor. Suzanne, the House Manager is often seen. A 14-year-old girl prostitute has been identified. The Pick brothers and their crew still hang around. The maintenance man named Doug is often seen. Lorraine, the Housekeeper and Cook is seen and heard in the kitchen. An Italian gambler that was shot in the coal room for cheating in a card game is said to still be there. Brumder Mansion is located at 3046 W Wisconsin Ave, Milwaukee, WI, 53208. Phone (414) 342-9767 or visit the website for reservations. Before it became the Old Sherman House Restaurant, this 125 year old house was home to the William Sowiak family from 1957 to 1982. Later, Tim and Louise Mulderink bought the house and turned it into the Old Sherman House in honor of the early resident Eugene Sherman. Both couples report having encountered strange events on the property. 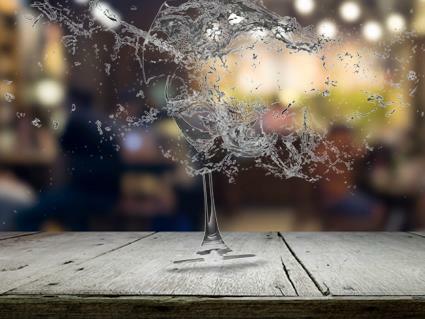 Witnesses have reported glasses and plates suddenly lifting from the bars or counters and "exploding." Glass windows have been said to shatter for no apparent reason. Guests and employees have witnessed doors opening and closing by themselves. Lights turn on and off by themselves. Employees have sensed people passing them, only no one was there. The Mulderinks researched and when they discovered that former residents church deacon James Pierce and his family considered alcohol evil, they believed they'd found the offended ghosts. However, it's said that the paranormal activity eventually drove the Mulderinks out of business. New owners re-opened and named the restaurant The Cottage Cafe. Their page on Facebook reveals a limited menu with a greater emphasis on various paranormal events, such as past life and psychic readings and psychic fairs. You can find The Cottage Cafe at 900 Post Road, Plover, WI, 54467. Phone (715) 544-0370 for reservations. Originally the Dungeon of Horrors operated as a Ford garage. Later, it was turned into a haunted house attraction. The next incarnation was the Dungeon of Horrors funhouse. The Ford garage owner committed suicide using a gun. An alcoholic artist died in the apartment next door. The gas pump out front accidentally blew up, killing the motorcyclist pumping gas. Unexplained Research interviewed Dungeon of Horrors owner Mr. Nehring who verified that employees don't last long on the job due to the paranormal activity. Nehring said that during the past 24 years the majority of his employees have experienced some type of ghostly activity, which is most active during the month of August. It seems the most active spirit is a man wearing glasses that enjoys taunting people by following them around. Cold spots are felt throughout the building. A glowing orange apparition has been reported by those working on the night shift. Strange noises are heard that have no logical origin. The apparition of an axe-wielding man is a regular visitor on the ground floor. 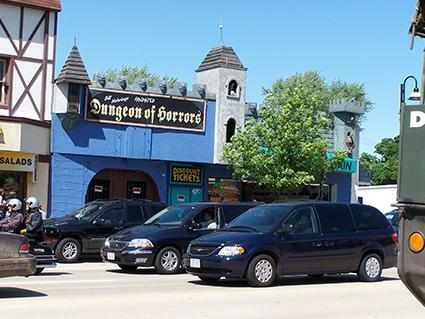 Dungeon of Horrors can be found at 325 Broadway, Wisconsin Dells, WI, 53965. Phone (608) 254-2980 for information. Listed with the National Register of Historic Places, the Octagon House is considered one of the most haunted places in Wisconsin. However, it is no longer open to the public. The Octagon House was built in 1856 on the site of what was once an Indian village. Over the century, a fort stood there as well as a trading post and even a settlement house. In 1975 Helen Hanson purchased the house, and it was during restoration that hidden passages and an underground tunnel were uncovered. The house, it was discovered, had served as a station for the underground railroad. Slaves stayed in the house before continuing their journey to Canada and freedom. Unlike some haunted places, the majority of the ghosts don't appear to be malevolent. Objects have been seen to move on their own. Witnesses have seen doors open and close by themselves. Cold spots in various rooms have been felt. Shadows move about the house. Items are moved or disappear. A spinning wheel was discovered disassembled in just a moment's time. Footfalls have been heard going up and down the steps. The apparition of a young boy has been reported. Visit Octagon House for tours and seasonal events including "Full Moon Paranormal Dinners," at 276 Linden Street, Fond du Lac, Wisconsin, 54935. Phone (920) 979-6221 for more information. Fairlawn Mansion, a 42-room Victorian mansion, is now a museum. In 1891 the Pattison family moved into the mansion. They often sponsored immigrant Scandinavians who in turn served in the Pattison home to repay their passage expenses. One of the ghosts that haunts the museum is often thought by visitors to be a museum guide. She's reported to be very kind and helpful to visitors, according to Prairie Ghosts. The ghost guide's real identity is unknown, but she could have been a servant in the mansion who may have been "murdered by her husband, shortly after leaving the sanctuary of the Pattison home." After the Pattisons moved out of the house it eventually became an orphanage from 1920 to 1962. There are reports of two ghost children. The apparitions of these two children are seen playing around the swimming pool located in the building's basement. The spirits residing in the museum seem happy to be there. In May 2015, the International Paranormal Society met to see if they could communicate with the resident ghosts though they have yet to publish their findings. 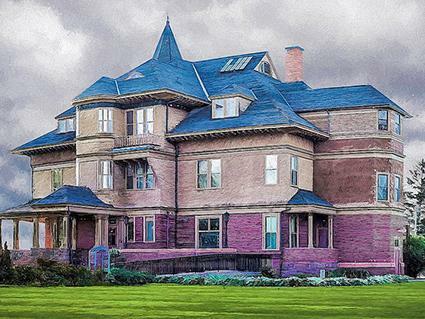 Fairlawn Mansion is open for tours and special events, located at 906 East 2nd Street, Superior, WI, 54880. Phone 715-394-5712 for reservations and more information. The story of the phantom man seen along Highway 12 in Baraboo is one that's told by many drivers. The hitchhiker is seen walking late at night dressed in 1960s clothing. Many speculate that he's a returning soldier from Vietnam. The ghost has shoulder-length, greasy black hair. He wears some type of baseball style cap and a green vest. He's also wearing a dark long-sleeved shirt and a pair of jeans. The story goes that the witness passes the phantom man once while traveling on Highway 12 and then, a few miles later, passes the same man for a second time. The driver is left stunned and confused over seeing the same man in two different places on the highway, miles apart. One eyewitness wrote about his encounter on the website Ghosts of America. The driver had never before heard the story of the phantom hitchhiker. He recounted that the first time he passed the man between 2 and 3 am. The second time he passed the same man, the driver was unnerved. Later, his girlfriend was surfing through various ghost tales on the internet when the story of the phantom man on Highway 12 popped up. The eyewitness reports were almost identical to his. If you want to see the Phantom Man, try driving along Highway 12, Baraboo, WI at night. The Wausau Downtown Airport is said to be haunted by its former airport manager Archie Towle. According to Unexplained Research, Towle's ghost has been accused of turning water faucets off and on and witnesses have also seen a shadowy figure nearby. The book Weird Wisconsin reports that in 1945, Towle died in a plane crash at the airport. Witnesses have since seen Towle's spirit roaming about the hangar. Footsteps that "sound like wing tips walking across a hardwood floor" have been heard. When the airport underwent renovations there was a noticeable increase in paranormal activities. The book tells of an employee working late one night. The man was in his office on the second floor office when he was startled by a pounding sound that seemed to be coming from a closet. He answered by knocking on the wall. He yelled for Archie to "keep it down." The employee reported that the pounding moved to the outer wall and eventually "made its way around the entire building." 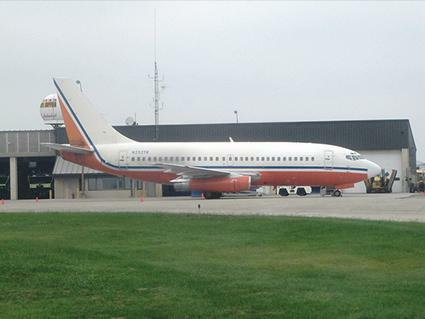 You can visit the Wausau Downtown Airport at 725 Woods Place, Wausau, WI, 54403. Phone (715) 845-3400 for information. von Stiehl Winery, the oldest licensed winery in Wisconsin, is housed in an 1868 Italianate building constructed as a brewery that went out of business in 1886. The building includes three underground tunnels carved out of limestone bedrock. Until the 1960s it was used for various businesses, such as a warehouse, washing machine factory, factory for making fly nets for horses, and feed storage. It was purchased and restored in the 1960s by Dr. Charles Steihl whose hobby was making wine. It's believed that Dr. Steihl never left his beloved winery and his spirit still resides there. Footsteps resound throughout the building. Sightings of apparitions in the bottling room are frequent. Employees find bottles of wine have been moved around. Furniture has been moved from its original positions. Lights turning on and off on their own. 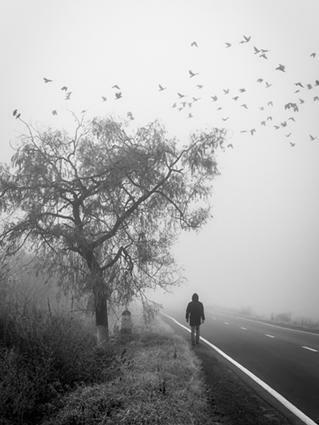 Footsteps are heard but no one is there. Employees have been pushed by an invisible entity or force. Employees have heard someone walking around on upper floors when no one was up there. A frequent sound is as though an old man is walking with the aid of a cane. von Stiehl Winery is open for tours, tastings, and events and can be found at 115 Navarino Street, Algoma, WI, 54201. Phone (920) 487-5208 to make reservations. 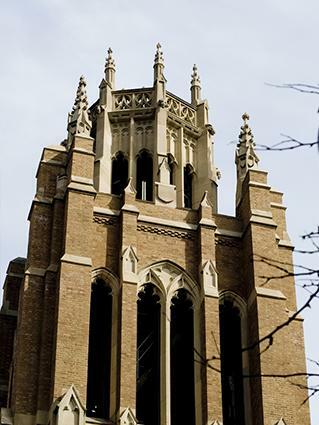 Marquette University is a "private, coeducational, Jesuit, Roman Catholic university." According to the Marquette Wire, Helfaer Theater and Humphrey Hall dorm buildings are two of the hotspots for paranormal activity. There are many other haunted areas on the campus as well. Carpenter Hall: The ghost of a boy named Jeremy who perished in a dorm fire is seen peering out windows. He's been blamed for turning on electronics even though they are unplugged at the time. Cobeen Hall: The spirit of an art critic haunts by removing residents' wall posters. Helfaer Theater: The ghost of a former artistic director is seen followed by unexplained noises and bangs along the catwalks. Humphrey Hall: Once a children's hospital, a ghost girl plays ball and runs down halls on the first floor. Johnston Hall: Two Jesuits are said to have jumped to their deaths and now haunt the fifth floor. Mashuda Hall: The ghost of a girl who committed suicide haunted a student who'd participated in a campus exorcism. Schroeder Hall: Lots of paranormal activity haunts this hall; objects move, electronics unplugging by themselves, unexplained gusts of wind and unusual door lock issues have all occurred. Resident Assistant Billy Sweet was reaching for his rosary after a night of unusual events and "felt a hostile force break my ankle." His is the only recorded incident of an attack. A Jesuit priest blessed the rooms and there hasn't been any paranormal activity since. Straz Tower (formerly YMCA): Willie, a child who drowned when the building was a YMCA, now haunts the pool area. Varsity Theatre: The ghost of a projector operator turns things on and off, and locks or unlocks doors. Marquette University is a functional school located at 1250 W Wisconsin Ave, Milwaukee, WI, 53233. Phone (800)222-6544 for inquiries. These are but a few of the many places said to be haunted in Wisconsin. With both Native American and early Colonial settlements, there is an abundant history here ripe with tales of ghosts and supernatural activity.